From a ferry service to more entertainment options, it seems many Hobartians think Hobart could do with more of ... everything. Whether it's more entertainment options, to affordable housing and better infrastructure, to bigger retailers, most of you had something to say. 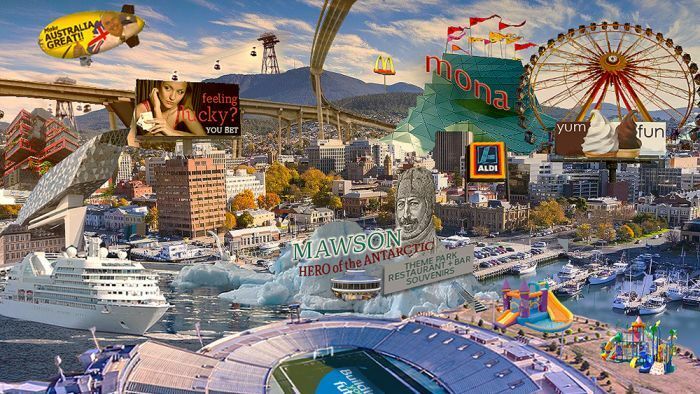 While not all responses seemed genuine or plausible, like the suggestion to have our own space exploration program and a giant ferris wheel and cruise ship terminal on top of kunanyi, many of you offered up interesting additions you'd like to see to Hobart. Most popularAn enormous amount of you had three things you'd love to see: Aldi, Ikea and Costco. "Definitely Aldi store. Food prices high. They'd clean up, competition is needed," Drene Hall said. Other desires included a Krispy Kreme donut shopfront and "generic" convenience stores like 7-11 and there were quite a few of you who wanted to see a one-stop market. "A proper food market that would be the best in Australia, with our huge range of seafood available to all Tasmanians," Dillon Kesur said. Some of your more humorous answers included "a wall to stop everyone moving here," thanks to David Carr, while Caitlyn Hadolt suggested "good single men that aren't creeps" would be welcome. More to do and seeThere was a call for more entertainment and restaurant options, with many of you lamenting Hobart regularly missing out on big-name acts who tour mainland Australia, but skip Tasmania. "More things for families, like an aquarium and theme park. Ditch the show," Missy Moo Gebel wrote. "A roller coaster," topped Robyn Nidorfer's list. "Musicians and comedians to come and do shows here, so we don't have to spend a fortune to fly to other states. More direct flights instead of going via the other states! Drive-in cinema would be cool too, as well as an outdoor fun park for the kids," Danni Millhouse said. Other suggestions included "IMAX cinema", "housing, funding for the hospital … and Disneyland", "good entertainment, dancing places", "more vegan options" and a "decent pancake/crepe cafe". Mandy Pearson wanted an "outdoor swimming pool that can be heated or turned into an ice rink in winter months". Infrastructure, transport, housing on the listUnsurprisingly, you all had a lot to say about the infrastructure and housing issues Hobart currently faces, with traffic problems unsurprisingly a sore point with many. There were also many of you who would like to see more options and frequency of public transport. "Ferry service, rail service and forward-thinking development," Debbie Appleton said, while Paul Morris listed "public transport that serves the needs of the community seven days a week". "Affordable housing, passenger trains/trams/trolley buses and a drive-in movie theatre. Hobart once had all of these," Sam Turner argued. "Hobart was founded around 214 years ago. It is a very young city in much need of progress and development, socially, culturally and economically," Kate Lowe said. "Bullet train to Launceston," Emma Rose said, while Irene Kirczenow wanted "bike paths and rail". Sam Jellis wrote that he would like to see a "sky rail and chair lift to Mt Wellington". Trish Karaboikis said she wanted "a couple of large, seven-day, bulk-bill medical centres" adding she would also like to see a "ferry service to the city". Practical solutions neededFinally, some of your comments deserve a mention for their common sense. "More public toilets in the city," was on Rob Sims's list. "Adequate childcare services, especially for shift workers!" Mel Anie wrote. Let's hope the movers and shakers are listening. Do you have a question about Hobart?You can suggest something for us to investigate by filling out the information below.